Mrs. Velma Sue Holt, age 84 of Winnsboro, passed away on Thursday, December 28th, 2017 at her home. She was born on June 21st, 1933 in Scroggins to the late Grady Winkle and Lobelia Scroggins Winkle. She was a retired Buyer for Sears, attended Pine Street Baptist Church and accepted the Lord as a young woman at Clearwater Baptist Church. She was preceded in death by parents, husband JR. Holt; sister, Vera Faye Winkle and two brothers, Printis Winkle and Preston Winkle. 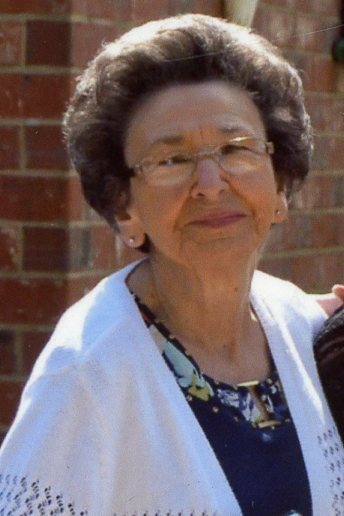 She is survived by her son, Joe Holt and his wife Robbie of Winnsboro; brother, Bill Winkle of Winnsboro; grandson, Chris Holt; four great grandchildren, Brittney Holt, Mitchell Holt, Trenton Holt and Larry Joe Holt; two great great grandsons, Colt and Chet. Visitation will be held on Saturday, December 30th, 2017 from 10:00 am to 11:00 am at Beaty Funeral Home-Winnsboro 816 W. Broadway Winnsboro, TX 75494. Funeral Services will Follow at 11:00 am, Bro. Dennis Erwin conducting, Interment will be at Clearwater Cemetery in Winnsboro, with Johnny Walker, Frank Noska, H.L. Henry, Chris Holt, Danny Azlin and Mike Childers serving as pallbearers. 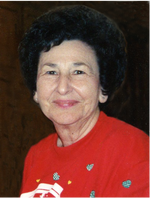 To send flowers to the family of Velma Sue Holt (Winkle), please visit our Heartfelt Sympathies Store.